NEWPORT — Police are looking for a dirt bike rider who led them on a dangerous chase through Derby and Newport on Friday. 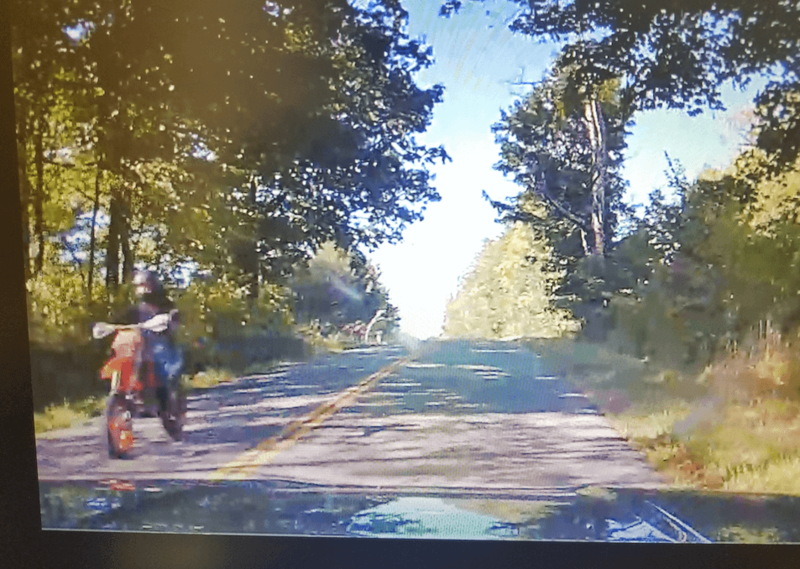 At around 6:20 p.m. a trooper observed a dirt bike operating in an erratic and dangerous manner on Hinman Settler Road, just north of Schuler Road. The operator was traveling over twice the posted limit, which is also a residential area. The dirt bike was an orange full-size bike, likely a KTM, with a male operator, medium or thin in build and wearing dark clothing. Police say the biker passed several other vehicles and a farm tractor at a high rate of speed, forcing a few motorists off the roadway. During the chase the bike turned onto Schuler Road, continued onto Access Road, and blowing through the stop sign at the interstate on-ramps. He continued towards Newport City. Police eventually decided to call off the chase. The bike was last seen traveling north on Western Avenue in Newport City at a high rate of speed. Police say on-board cruiser cameras were active during the incident, and that they will soon release images of the suspect.